Despite effective vaccine and treatment options, the Hepatitis B Virus (HBV) remains a worldwide health concern. The World Health Organization (WHO) estimates there are 257 million infected individuals1. Chronic infection with the virus can lead to several potential complications including cirrhosis and hepatocellular carcinoma. There has been a renewed push to find a curative treatment modality to aid chronically infected individuals and mitigate long term health issues. HBV has a complex life cycle utilizing an enveloped DNA particle, which translocates to the nucleus after infection. A highly stable covalently closed circular DNA (cccDNA) is formed in the nucleus acting as a mini-chromosome contributing to viral persistence. It utilizes RNA transcription and reverse translation to generate viral proteins and new particle formation. HBV is a hepatotropic virus with a limited host range offering few model systems that provide complete lifecycle replication. Viral persistence is also mediated by various immune escape mechanisms, which make treatment more complex. The current approved line of treatment utilizes both PEGylated-Interferon alpha-2b and nucleotide/side analogs, which have a limited success rate for chronically infected individuals. While this regiment can reduce viral burden in patients and decrease risk for disease progression, it is not curative. The generation of escape mutants in the HBV genome and cessation of treatment allows for returned viral load and disease progression risk. New therapeutic targets are being investigated and are leading to new treatment modalities. 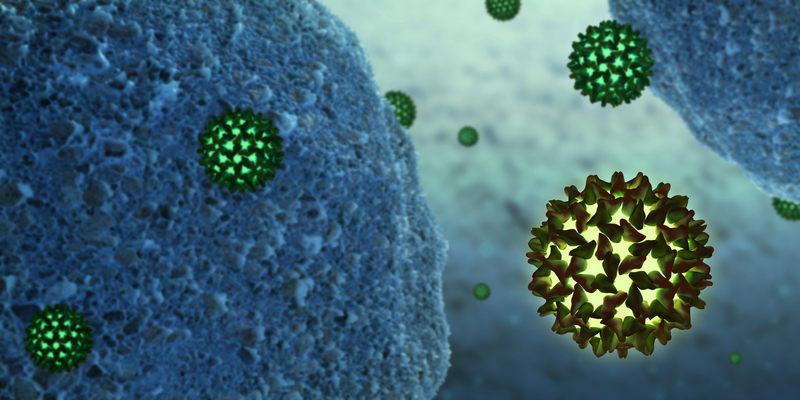 The identification of the putative receptor for the HBV virus in the sodium taurocholate cotransporter polypeptide (NTCP) and a deeper understanding of the immune dysfunction caused by HBV has led to new druggable targets. In addition, success with multi-target treatments used for other viruses such as human immunodeficiency virus (HIV) and the hepatitis C virus (HCV) have bolstered hope that similar strategies may lead to curative treatments for HBV. The FDA has recently released a draft guidance to help delineate specific recommendation for development of HBV treatments². This guidance highlights some of the special considerations for examining resistance and off-target effects of new treatment modalities as well as clinical trial considerations specific to HBV. The need for model systems to study HBV infection and screen new therapeutic compounds or modalities has been hampered by the limited tropism of the virus and relevance of related viral models. Transfected cell lines, liver humanized mice and woodchuck hepatitis virus (WHV) are used as surrogate models but are limited in recapitulating aspects of infection and lifecycle or in generating in vivo relevant data. Primary human hepatocytes have been the most relevant and efficient in vitro model system. Progress in optimizing culture conditions and viral infection methods has advanced their utility from assessing basic biological questions into high throughput drug screening models. Use of advanced long-term culture models, such as the HEPATOPAC® culture system allows researchers to culture hepatocytes for four weeks and maintains hepatocyte function at high levels. These models have been used to support HBV replication and have given researchers the ability to assess small molecule behavior in a relevant HBV infected background³. As with most persistent viral infections, genetic variability and genomic adaptions to host and pharmaceutical mechanisms of clearance are important. Molecular analysis of genotypic variation and escape mutations in treated patients are critical to designing effective treatments and ensuring therapies are not contributing to resistant virus. HBV exists in genotypic viral variants, which show geographic regionality. These genotypic variants also have relevant variations in clinical outcomes and therapeutic susceptibility. Obtaining samples for viral infectivity experiments is critical to drug development that is relevant to regional markets. At BioIVT we offer multiple products for HBV models. Currently, researchers are using human cryoplateable hepatocytes for HBV infection. This model allows for exploration of viral infection and replication. However, the utilization of our HEPATOPAC culture system allows for further exploration of the HBV life cycle over longer durations. The HEPATOPAC technology offers researchers a platform for long-term studies in a stable in vitro environment for up to four weeks. The proprietary patterning method used consists of hepatocyte “islands” surrounded by supportive stromal cells. This specialized architecture replicates the physiological micro-environment of the liver. Our HEPATOPAC technology is available in ready-to-use HEPATOPAC kits. We offer a variety of formats including multi-species and multi-donor plates. Our kits are provided with extensive scientific support and quality assurance guarantees. Our scientific advisors can also suggest various human hepatocyte lots if your assay method is 5-7 days. Additionally, BioIVT offers various biospecimens from donors with confirmed exposure to infectious diseases including the family of viruses that cause Hepatitis. Contact us if you are interested in learning more about our product offerings. 3Kratochwil NA, J Pharmacol Exp Ther. 2018 May;365(2):237-248. doi: 10.1124/jpet.117.245712. Epub 2018 Feb 16.